In the absence of regular rival Jonathan du Toit, Brett Garland (autObarn/Total Honda Civic) romped to two easy wins in the fifth round of the 2018 autObarn SuperHatch championship at Dezzi Raceway on Saturday, 11 August. Class B went to Louis Scholtz (Car Care Clinic Honda Civic) while Reno van Heerden (KWC VW Polo) claimed class C.
In the opening race Andre Dannhauser (Pro Auto Rubber/Jetstik Opel Corsa) led the way until a spin dropped him to the back of the field, allowing Garland to then control things from the front. 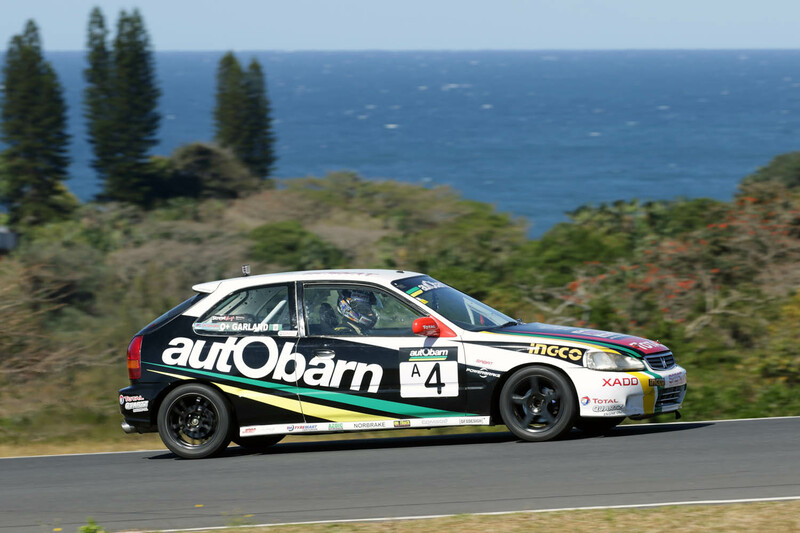 He went on to win by almost 19 seconds from Nic Martin (Rex Diff & Gearbox Opel Kadett) and Chris Davison (HIMOINSA Southern Africa Opel Superboss) with a recovering Dannhauser in fourth. 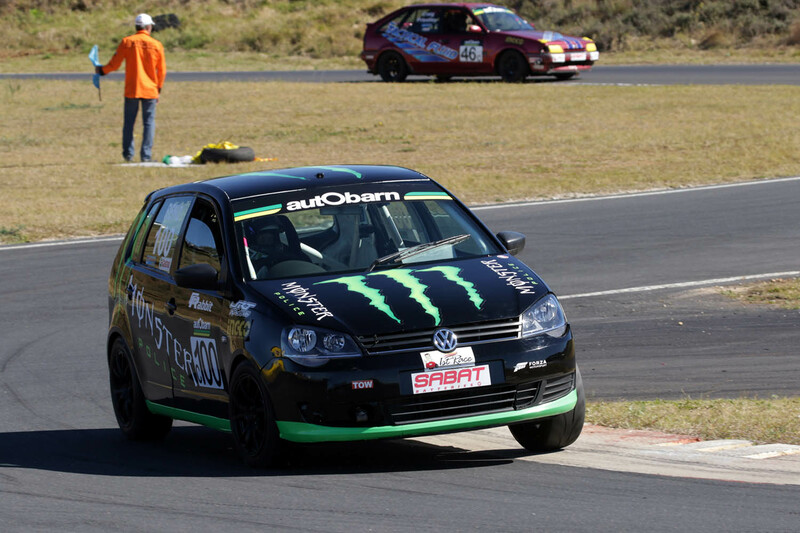 Scholtz completely dominated class B, but a penalty for being underweight at the end of the race dropped him down to third, handing the win to VW Driver Search winner Raais Asmal (VW Motorsport Polo) with Zane van Zyl (Credit Guarantee/Rim Africa VW Golf) promoted to second. Class C went to Reno van Heerden from stablemate Almero van Eck (Nosler VW Golf) with Matt Cohen (BHIT / VW Motorsport Polo) in third. Dannhauser again started from pole position in race 2, this time making no mistakes, but he could no keep a determined Garland behind him. While the margin was not as big as in the first race, Garland took another comfortable win, from Dannhauser, Martin and Davison. Scholtz made no mistake second time around, finishing second on the road and nearly nine seconds ahead of closest class B rival, van Zyl with Sandro Godinho (Bidvest Panalpina Logistics VW Golf) claiming his second podium finish of the season not far behind. Class C again went the way of van Heerden with van Eck not far behind, but the latter was penalized for a technical infringement at the post-race check, giving Matt Cohen second place and promoting Robert Stoltz (Jetstik / Episerve / Lopec Opel Kadett) to third. In the overall standings, Garland was an easy winner in class A from Martin and Davison. Despite his first race penalty, Scholtz did enough to take class B with Van Zyl and Shane Forget (4Js Auto Opel Cub) joining him on the podium. Van Heerden took class C from Cohen and van Eck. The autObarn SuperHatch brigade now makes their way to the Free State for their next round, the Phakisa 200, which takes place on Saturday, 15 September.